My Take on it – This is a movie that I first saw when the original trilogy was released on DVD in 2004. For a Star Wars fan like me, it is so much fun to see all of the insight into how the trilogy came to be and also to see lots of behind the scenes footage. The interviews with the cast and crew make this a movie not to be missed. Watching it now made me wish that they were showing these movies again in the theater because the experience of seeing any of the Star Wars movies on the big screen is something everyone should have the privilege to experience at least once (if not more). I can’t wait for the next movie to come out in December to have that experience once again. 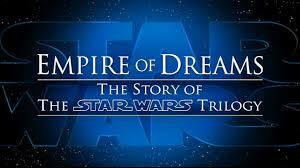 This is a movie that every fan of Star Wars MUST see! Bottom Line – Excellent documentary that really gives us great insight into how these movies came to be. A must watch for all fans of Star Wars. Highly recommended! I’ll be looking this one up for sure! Thanks Rob. I didn’t even know this existed! How cool!